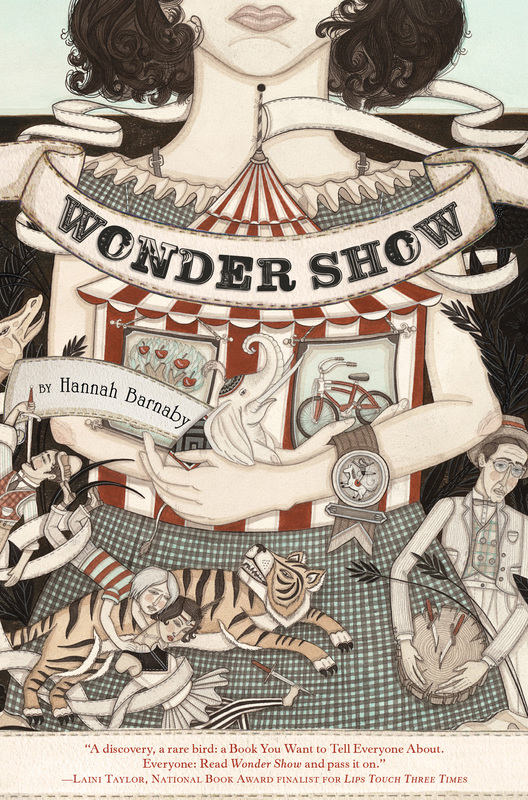 Every now and then a book comes along that is just an entirely different kind of book – and that’s exactly what Wonder Show is. This story is odd, slow, internal, fascinating, and entirely hypnotic. I had no idea where it was taking me, but I could not look away. If you ever watched an HBO show called Carnivale, you’re going to recognize the trappings of this book – it too takes place in post-Depression, dust bowl America, and follows a rag-tag traveling circus filled with the strange and bizarre. But while Carnivale was a story writ large on the battlefield of good vs. evil, Wonder Show is a quiet, introspective, entirely personal story. Portia, our leading lady, is adrift in life, and this strange, rambling circus that she eventually falls into (and it takes a good while for her to get to that point) becomes her house of mirrors, a way of reflecting back the things she can’t quite grasp about herself, until she comes to recognize and understand them. Now with most coming of age stories, there tends to be an external trigger – the battle to be fought, the love to be won – but this story completely ignores such conventions. Instead this is a book built on character studies, and so it meanders around and between the bizarre and fascinating characters who people the circus, slowly peeling back layers to let us get to know each and every one. This is a story about how strange and wonderful and difficult people really are – so no, this story doesn’t teem with action or dire jeopardy, which admittedly is why it seems to move slowly. This is a story that lives in gradual, tantalizing reveals, as it slowly unmasks the people behind the “freak” and “normal” labels. And Barnaby does it brilliantly. As for the atmosphere of this book, and its sense of language – both are truly lovely. This story seems to exist in a world of its own, far outside the familiar realm of YA. Weirdly, it kind of reminded me of listening to Regina Spektor’s music – both story and music are unique and beguiling, and yet with both I found myself at times reaching for something, feeling around for a familiar hook or melody or narrative structure that just wasn’t there. It’s a fascinating quality, but it isn’t always entirely comfortable. In the end, this book is about the strange little worlds we all live in, and the bridges we learn to build out of them. Portia is mired in hers, trapped between past and present, until the Wonder Show teaches her that her world is her own, and only she can decide how to live in it. It’s an odd and wonderful kind of story, and it’s of the kind you won’t forget. This is a novel about growing up, the search for self identity, and learning to accept others for who they really are. I would recommend this for anyone who is looking for a different, darker, but thoughtful read.